> Close Reading > Close Read Passages > That's Not Fair! 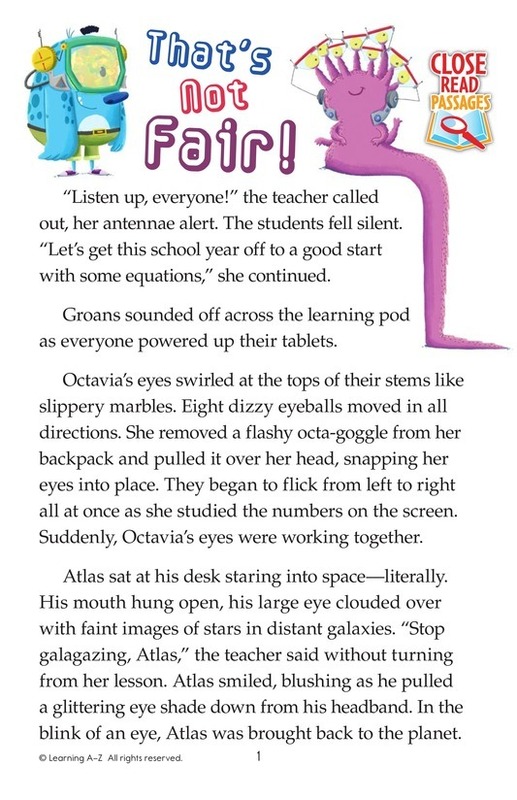 Octavia and Atlas are allowed to use special gadgets in class, but Hawk feels left out! 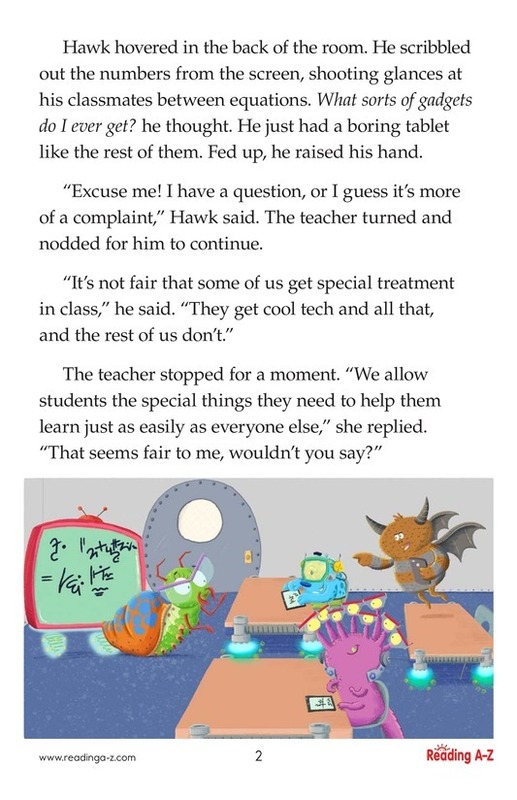 Does being fair always mean being equal?